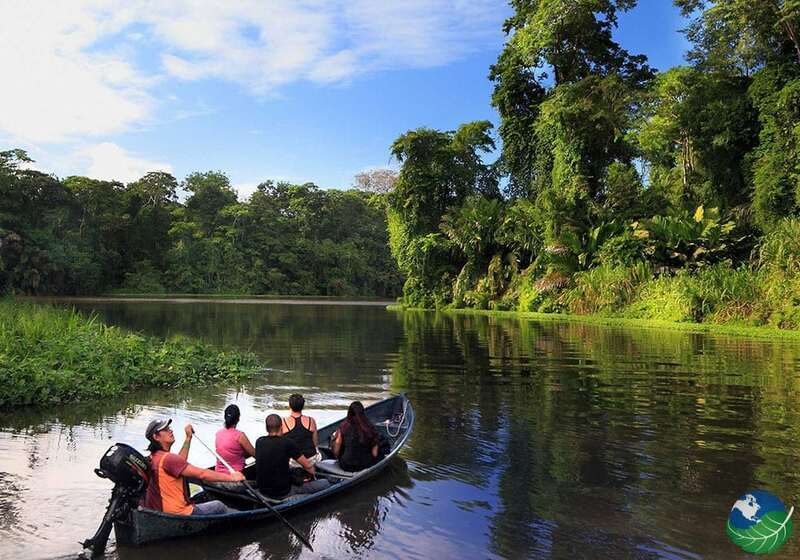 Just minutes from the main entrance to Tortuguero National Park by boat, Evergreen Lodge Costa Rica is the perfect location from which to explore the beautiful area of Tortuguero. One fact that makes coming to this area truly enchanting, is that it is only accessible by air and water. 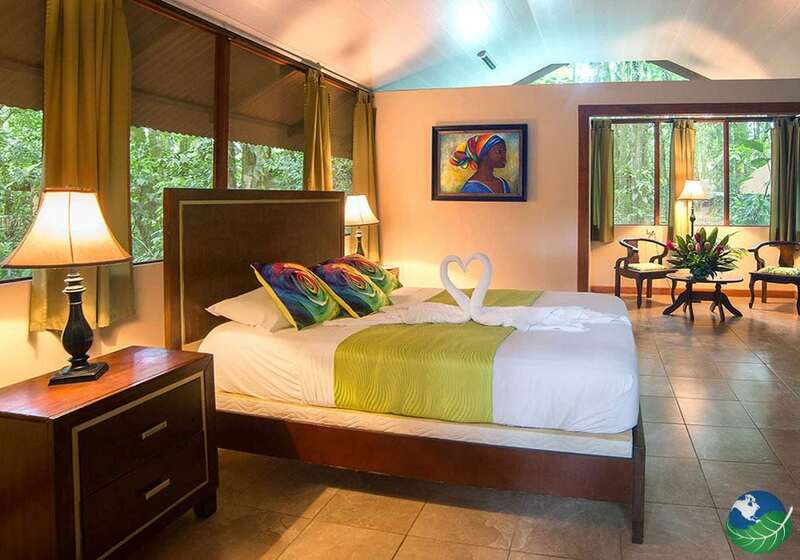 Evergreen Lodge, set over two hectares of towering trees and lush vegetation, is located in the northeastern corner of Tortuguero. 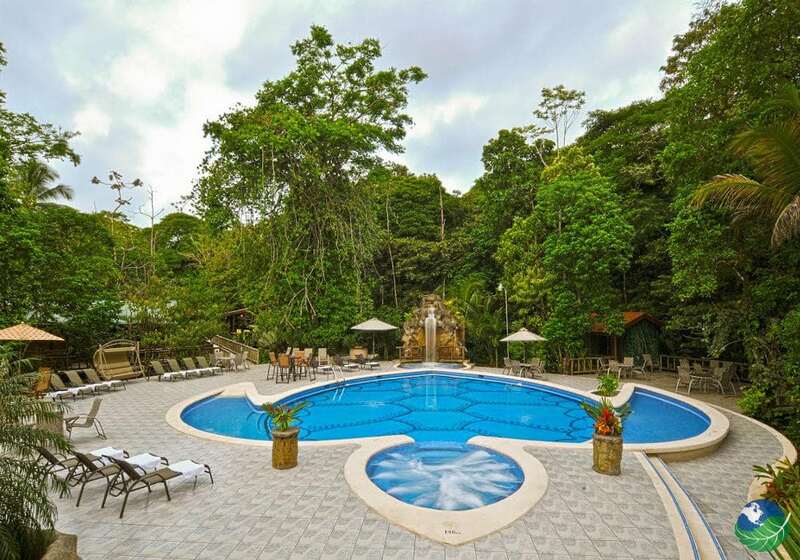 Its elegant tropical design make it one of the most stunning hotels in Tortuguero, whether you are on your honeymoon or on a family vacation. 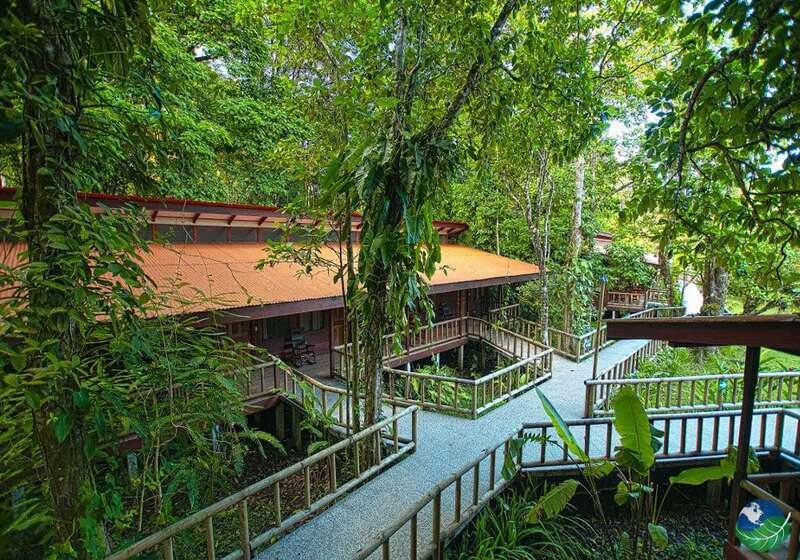 Evergreen Lodge Costa Rica features 66 spacious, jungle-inspired rooms, all with wood furniture and large, comfortable beds. All rooms have two double beds, a private bathroom and ceiling fans for your comfort. The tropical swimming pool is an inviting spot to refresh after your daytime adventures. 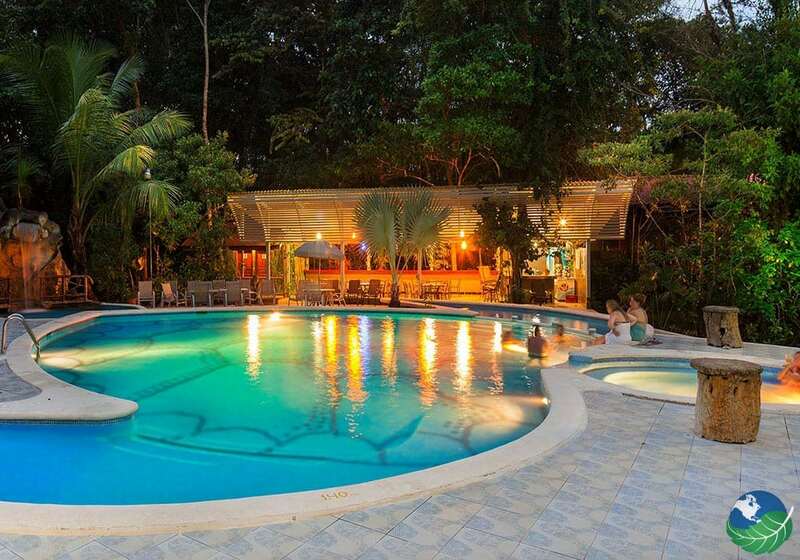 Evergreen Lodge Costa Rica serves delicious food at huge buffet style meals, as part of its all-inclusive service. The main dining room is absolutely beautiful with high ceiling and stunning rainforest views. The Evergreen Lodge also has a chic and lively bar where you can enjoy your evenings in the Rainforest! You can learn about the exotic Tortuguero wildlife and surroundings from the hotel’s own bilingual tour guides. There is also a canopy tour on site consisting of 11 platforms for an exciting way to enjoy the jungle. At the end of your tours, take advantage of the onsite spa and relax with a massage or facial. If in fact you are feeling daring, why not treat yourself to one of the special treatments using local chocolate, grapes, seaweed or coffee? Each ingredient is chosen to perfectly compliment your skin type, leaving you looking and feeling refreshed and healthy.